Adventurous Tashi, a fearless and clever gnome from a land far, far away, faces a terrible ogre who storms into his village and threatens his family and friends. As Tashi endeavors to recover the ogre’s stolen pet from the evil Baron and protect his village from being eaten, his tale conveys themes of bravery, ingenuity, and loyalty. Delightfully fantastical, Tashi's daring adventures never cease to thrill. 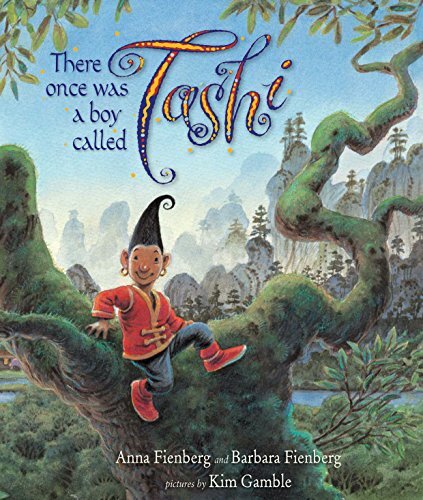 Anna Fienberg is the author of more than 20 children's books, including the Tashi series, the Minton series, and The Hottest Boy Who Ever Lived. Barbara Fienberg is the coauthor of the Tashi series. Kim Gamble is the illustrator of Come the Terrible Tiger, Dear Fred, and The Hottest Boy Who Ever Lived. Anna Feinberg's stories, illustrated by Kim Gamble, light the imagination of all the children I know. 'The Weekend Australian, December 2004child-centred and likely to touch most hearts it has poetry, excitement and charm. The story and Gamble's beautiful watercolour illustrations are integrated so that text, character and scene are satisfyingly merged. 'Stella Lees in ABRDec 2004-Jan 2005How wonderful it is to have a big, hardback picture book of the beloved Tashi Kim Gamble's illustrations are exquisite' Sydney/Melbourne's ChildDec 2004/Jan 2005.